Lower the cost of energy – that is the key challenge for the wind industry. 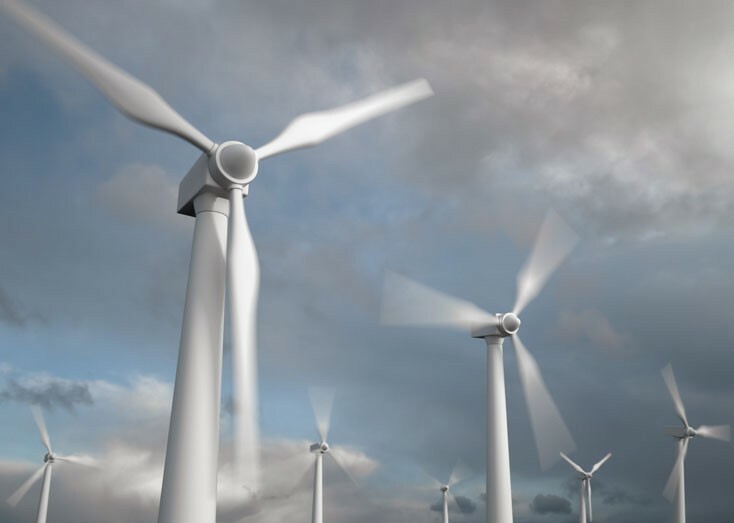 Manufacturers of wind turbines need new developments which target improved reliability, better performance and greater ease of maintenance in their new generations of systems. With Bosch Rexroth, they receive electrical and hydraulic system solutions from a single source. Since the 1980s, Bosch Rexroth has delivered increasingly high-performance drive solutions for pioneering generations of systems. Our customers benefit from the innovation, stability and quality awareness of Bosch Rexroth. As a component manufacturer and systems supplier, Rexroth uses its exceptional industry knowledge to directly perform the required adaptations. Bosch Rexroth's comprehensive know-how regarding drive, control and regulation makes wind turbines more efficient. With innovative services such as condition-based maintenance over the Internet, Bosch Rexroth increases the availability of wind turbines even further. In a unique way, Bosch Rexroth stands by its customers throughout the entire lifecycle of the wind turbine: as a longtime development partner, as a global supplier and finally, as a local service partner.